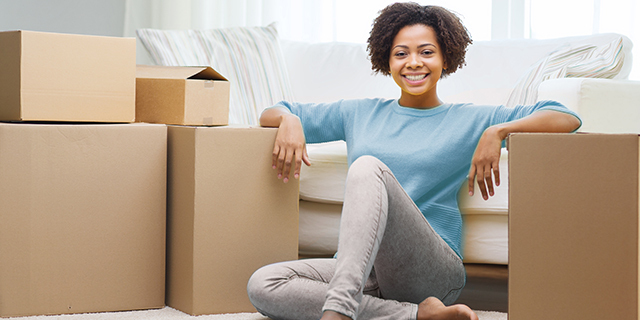 Think about the last time you moved into a new place—why did you leave? If it was because you needed a change of scenery, you're not alone. A recent Realtor.com survey found that 46 percent of millennials move because they're tired of their current home. In fact, it's the biggest reason most people (35 percent of home shoppers surveyed overall) move, period. The only age groups whose reasons for moving didn't match up with the majority? People ages 55 to 64 and those over 65—their main reason for moving was retirement (at 39 percent and 28 percent, respectively). Outside of a desire for a change from their current home, the report found that many millennials move due to major life circumstances—30 percent moved so they could increase their family size, 27 percent moved due to marriage or moving in with a partner, 24 percent moved because of a change in family circumstance or composition, and another 24 percent moved because they got an increase in income. This matched up with millennials' homeownership goals, too. Realtor.com asked home shoppers to rank their priorities for owning a home with points, and four main reasons came out on top: family needs, stability and future security, privacy, and the opportunity for financial investment. Overall, across all the age groups surveyed, the desire for privacy came out on top among homeownership goals, followed by family needs. The survey also asked respondents to share what they look for in a home, and as it turns out, most people look for a 3-bedroom, 2-bathroom single family home. Along with that, the kitchen is the most important room for home shoppers, especially for millennials. Eighty-six percent of millennials said the kitchen was a priority, and overall, 80 percent of respondents across age groups agreed. The master bedroom followed with 49 percent of people overall noting that it was important, too.